As if the prospect of getting paid wasn’t enough, one company has invented a machine that offers free beer as an incentive to get employees to fill out their time cards. 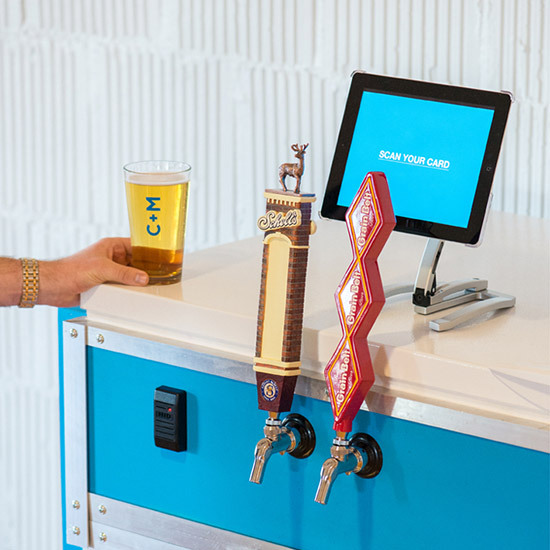 Colle+McVoy, a Minneapolis–based ad agency, has created a machine they call the TapServer—“a one-of-a-kind beer deployment system that rewards employees with free beer for doing their time sheets.” Using the machine seems simple enough: Workers scan their key cards and if their time sheets are up-to-date, they use an iPad interface to select one of four draft brews. Additionally, “Ounces consumed are measured by employee and by beer, just for fun,” which I interpret to mean somewhere in the office is a leaderboard for company lush (though he probably prefers the name “Guy with the Most Up-to-Date Time Sheet”). Colle+McVoy claims that since launching the system, attitudes about time sheets have improved 90 percent. Employees are also finding their co-workers 70 percent more attractive, and company pretzel intake has skyrocketed 135 percent.